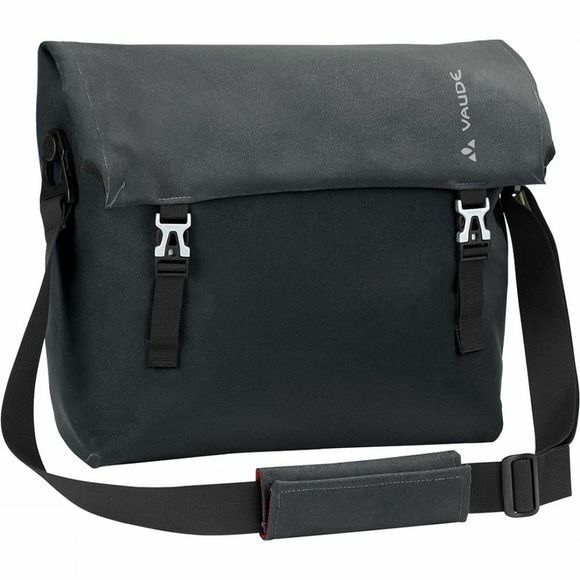 The Augsburg III Bike Bag Medium from VauDe is up for an active lifestyle and can take things in stride with integrated laptop compartment and well organized interior. The durable material has a textile look, is completely PVC-free and welded water tight. 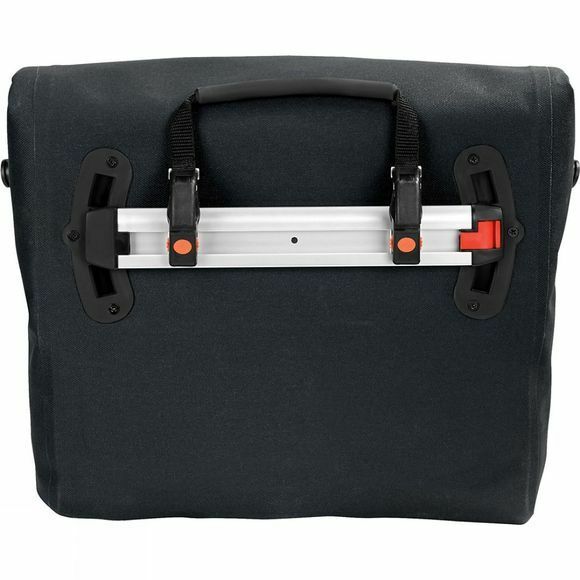 The adjustable Plug and Ride attachment rail lets you attach and detach your bag from the gear rack in an instant. The shoulder strap for "off bike" action is softly padded for comfortable carrying. Added feature: The bag is climate neutrally manufactured at the VauDe company headquarters in South Germany, with a clean design and highest Made in Germany quality.